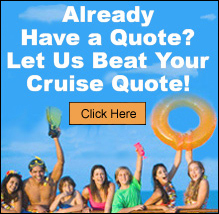 Disney Cruise Lines - Just Cruises, Inc. When you set sail with Disney, you can be sure to experience an unforgettable vacation that boasts something special for each & every member of the family so that no one ever has to compromise. Whether it's relaxing "me time" for adults, imaginative activities for the kids or thrilling entertainment for the whole family, a Disney cruise provides fun for everyone. Adults: While the kids are being cared for by trained counselors at our many imaginatively themed youth clubs, adults can find their very own paradise while at sea, thanks to a variety of adult-only spaces. Intimate dining, an adult pool, elegant lounges and nightclubs, and our luxurious spa and salon are just some of the many spaces and activities that cater exclusively to Guests 18 years of age and older. Kids: Unleash your children's imagination at sea! On a Disney Cruise, there's an almost endless amount of one-of-a-kind entertainment offerings to keep your child engaged and smiling from sun-up to well after sundown. Kids can play in larger-than-life youth clubs steeped in Disney storytelling, come face-to-face with some of their favorite Disney Characters, or join in the fun of the countless kid-friendly activities available throughout the ship. Family: A Disney cruise provides a unique opportunity for families to come together and create memories to last a lifetime. Savor mouthwatering family dinners amid wondrously themed restaurants, clap and sing during Broadway-caliber Disney musicals and spectacular deck parties that light up the night, and make a splash at one of our whimsical watering holes. All of this & so much more included in the price of your Disney cruise.